The self-awareness encounter group refers to regular meetings of a group of people, i.e. 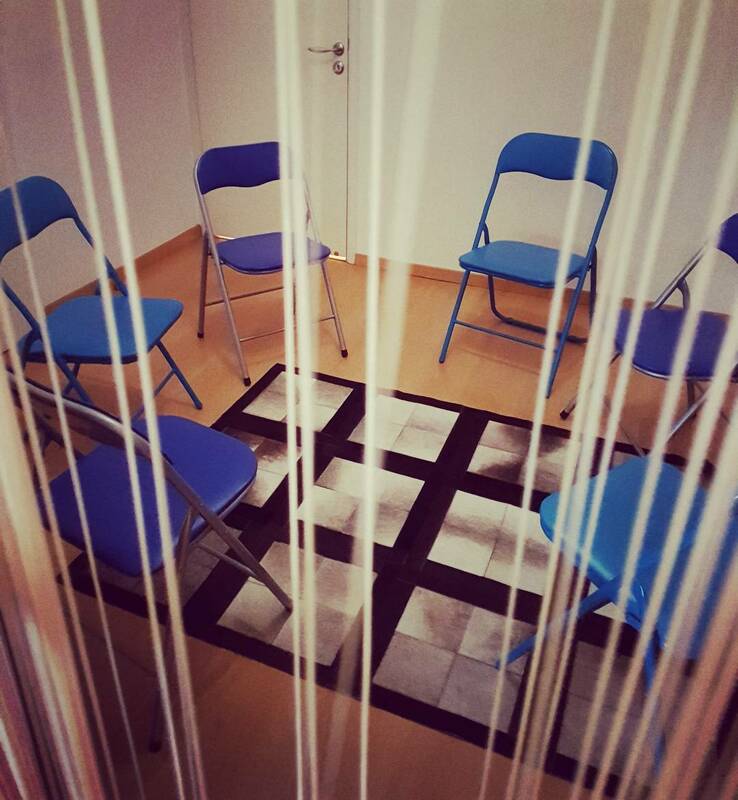 group sessions, with the presence of a specialist facilitator to increase self-awareness, social sensitivity and bring about change in unwanted behaviours through interpersonal confrontation, self-disclosure and intense emotional expression. This also has the secondary benefit of improving communication skills and social confidence. At the centre, GIA TIN ITHAKI, we follow Carl Roger’s person-centred philosophy in self-awareness groups. The coordinator encourages participants to focus on “the here and now”, i.e. on how they experience the interactions within the group at a given moment and on how they process emotions that have been evoked during the group session. 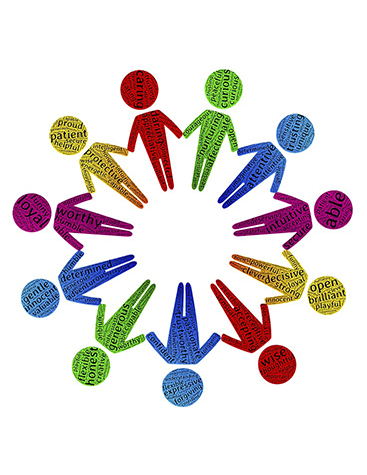 The role of the person-centred coordinator within the group is to create an atmosphere of acceptance and empathy, in which the members of the group are assisted and encouraged to discover their personal inner powers, to grow, and to evolve spiritually; as well as to be guided to self-actualization. 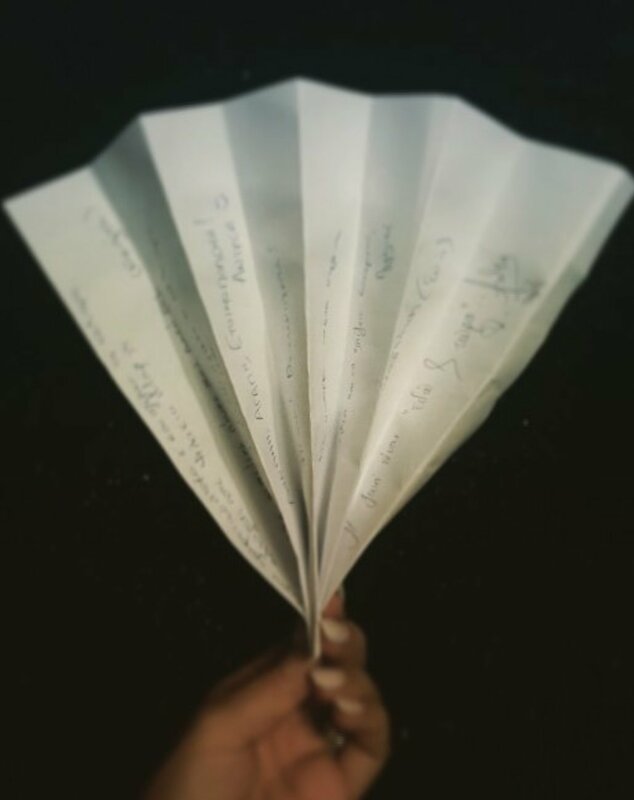 The fan-souvenir, at the closure of a self-awareness encounter group at our centre. At the centre GIA TIN ITHAKI we also offer support groups for people with eating disorders. A support group is essentially a meeting of people on a regular basis and for a specific period of time with the ultimate aim of providing and receiving support for the difficulties they face. In support groups for eating disorders, the participants, with the help of their group’s facilitator – a therapist specialising in eating disorders -, help each other through active listening, empathy, support and feedback on issues related to eating disorders. Group members also receive, with the help of the facilitator, proper education and psychological training on eating disorders; they explore their emotions, thoughts and perceptions of their body and self-image; and process their eating habits, relationship with food and (more generally) relationship with oneself and with others, in a safe and friendly environment. The Eating Disorder Support Group works in a complementary way and can be highly effective in helping people with eating disorders that are already receiving individual therapy.